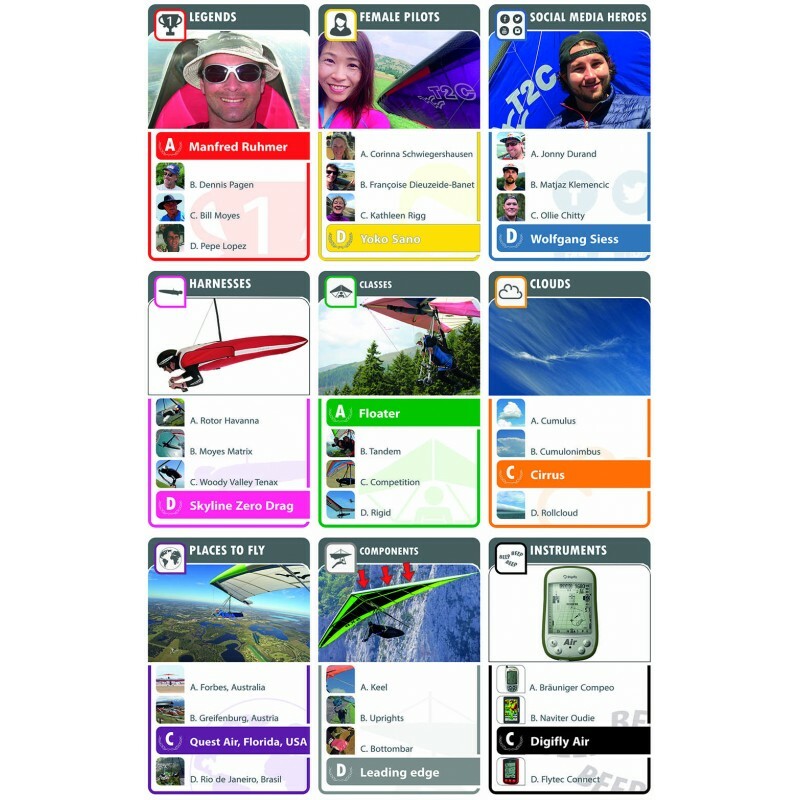 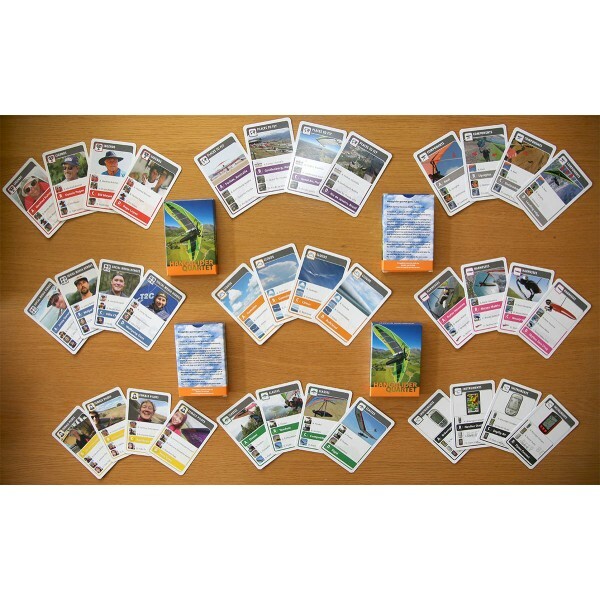 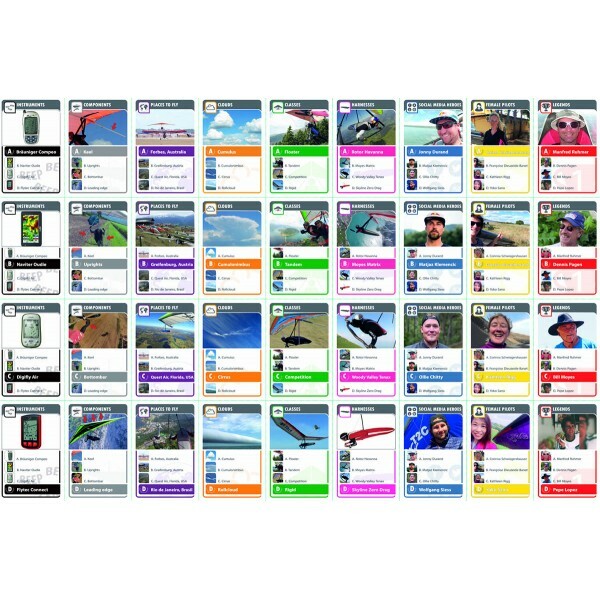 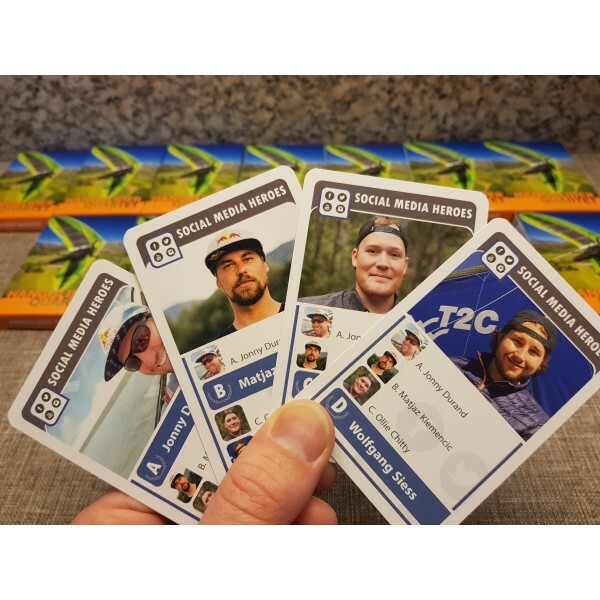 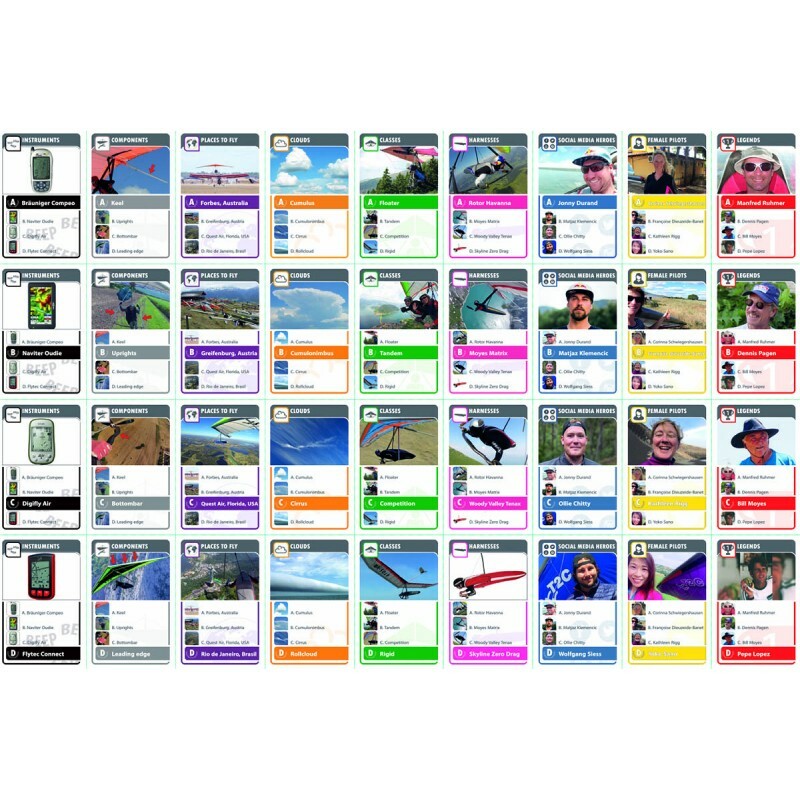 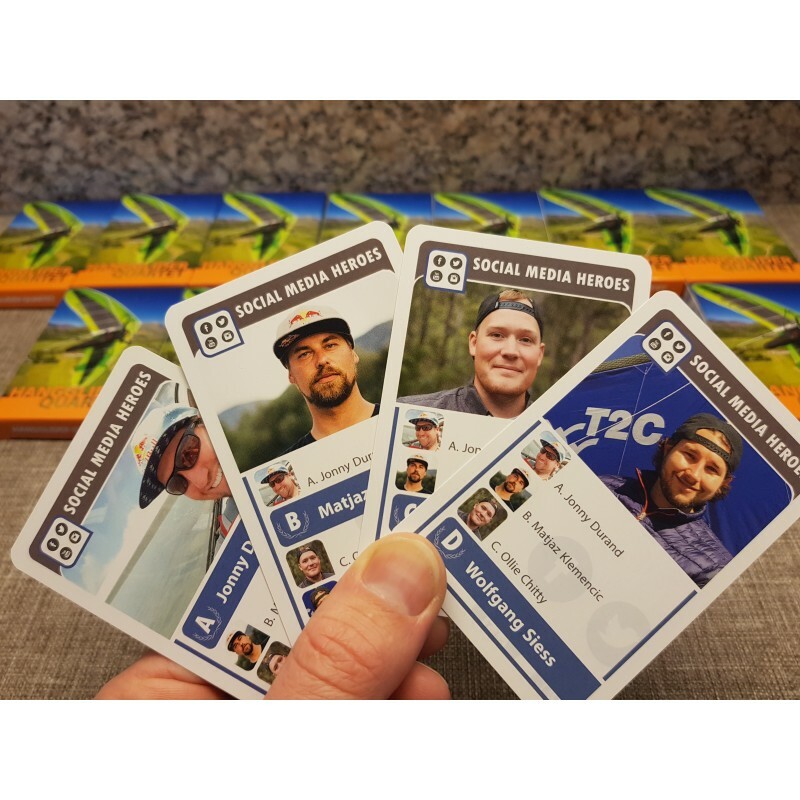 Card game perfect for at home or before&after flying. 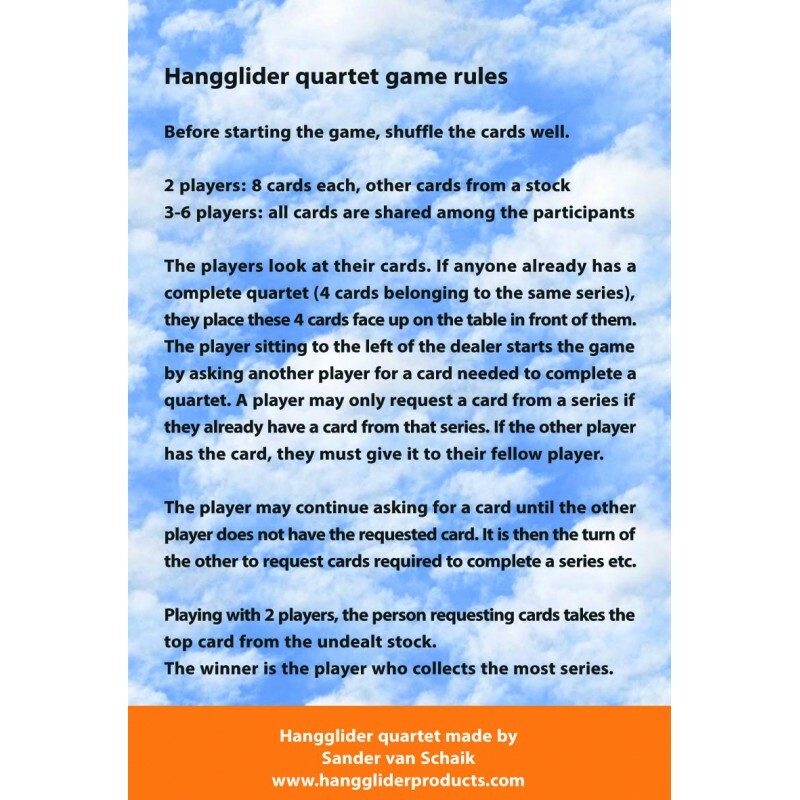 Contains 36 playing cards, rules, and instructions on how to play. 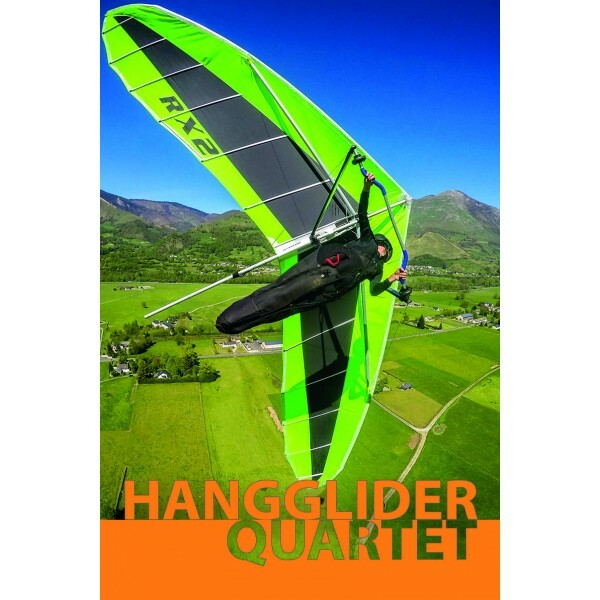 Great to play or to give to promote our sports: Hanggliding ! 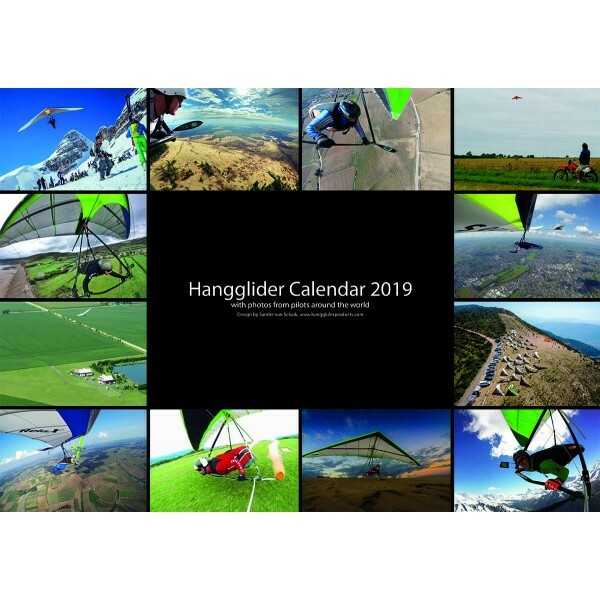 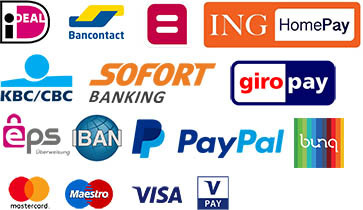 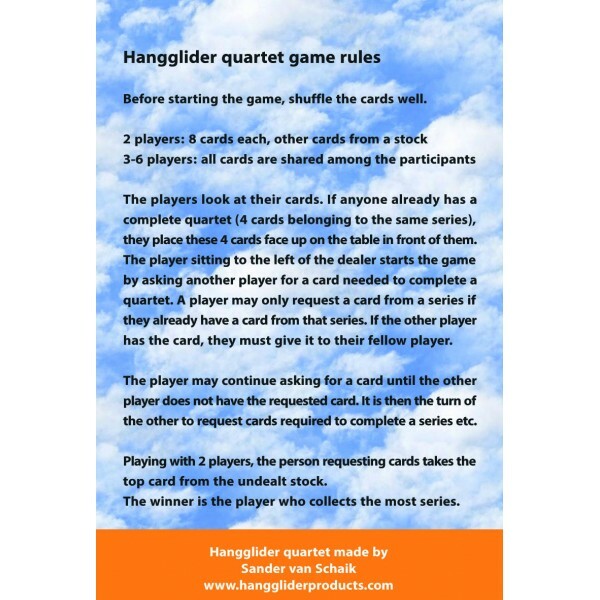 The Hanggliding Quartet is on stock since December 21th 2018.